There were 6 new models in 1992, 3 of which were very large, 2 medium, and one small. The flex system was continued and expanded, as was the double acting pneumatic system. 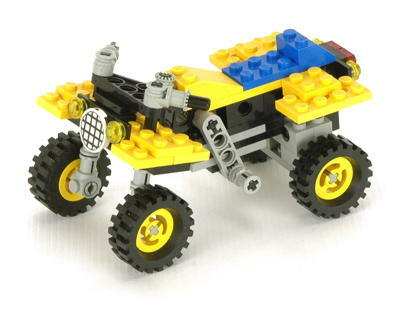 The small ATV features a unique form of steering. 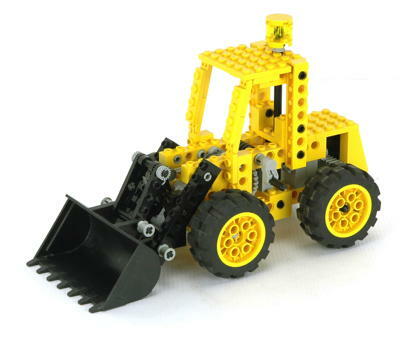 A wheeled loader has a lifting and dumping bucket. 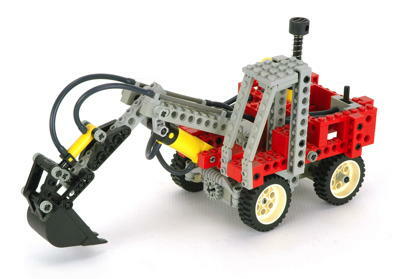 A wheeled excavator uses the pneumatic system and one of the new small cylinders. An airplane features ailerons, rear suspension, and a 2 cylinder engine. 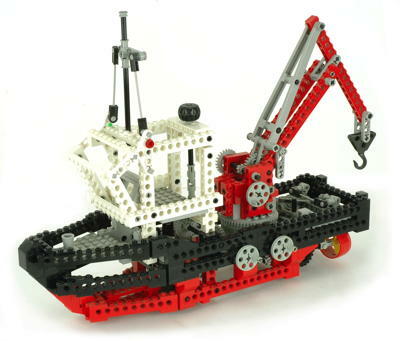 A fishing/supply ship represents the only Technic boat and features steering via hidden wheels and vectoring props, and a lifting and slewing loading arm. Finally, the crown jewel, the Air Tech Claw Rig. This remains the only set to ever include a pneumatic compressor, and ranks as one of the most complex pneumatic sets ever released. 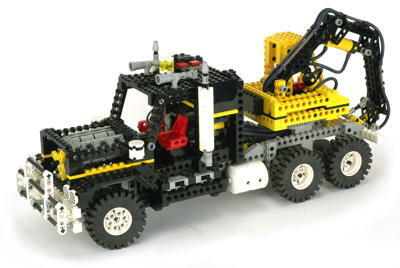 It also has 2 differentials, a V-6 engine, and a loader which pneumatically slews, lifts, and grasps. By this time models were getting complex enough that their features were not immediately obvious and their construction required considerable skill. This trend would continue over the next couple of years, eventually resulting in models which were arguably too difficult for children to construct. For adults, this was a glorious time. 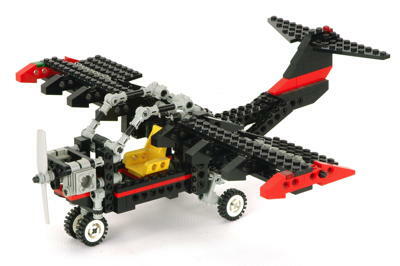 The number of new parts in 1992 was minimal but important. After a two year absence, double acting pneumatics made a return, with a vengeance. There was a smaller pneumatic cylinder as well as a compressor. Unfortunately, neither was widely used for some inexplicable reason. But the pneumatics of 1992 were glorious and complex. Two new black buckets were introduced. With dimensions of 10x8 and 4x4x9, they were almost (but not quite) direct replacements for the older 14x8 and 6x8 yellow buckets. 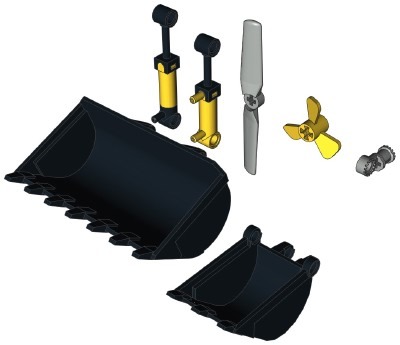 While the older buckets seem to be made of the same ABS plastic as standard LEGO® bricks, the new black buckets are made of something softer and somewhat more flexible. A pair of new pneumatic items were introduced. The double acting cylinder is functionally the same as its larger cousin, but at only 1 unit in diameter, fits in considerably less space. Because the pressure area is quadratic, it also produces 4 times less output force, so its application has been limited. The compressor pump has the same basic body and piston as the actuator, but has only a single port at the head end with a relief valve. Unlike an actuator which is driven by air, the compressor is made to be driven by the piston. When compressing the unit pushes air out through the port, but when extending it draws in air from the atmosphere. When the pressure in the system exceeds a certain value, the relief valve allows any remaining pressure to vent. This fantastic system was used only once, a tragedy which has no logical explanation. There were two new propellers, a large twin blade and a small three blade, both with cruciform centers. The venerable toothed connector was modified slightly. It has slots on the sides which makes it easier to remove, but unfortunately also makes it much more prone to cracking.